12 watt A19 globe Cool white, Warm white, Nature white 3 color temperature LED light bulbs as CFL replacement. White color temperature tuning led lights. 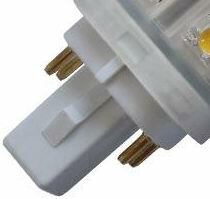 Three color temperature Cool white, Warm white, Nature white LED light bulbs CFL replacement. Household LED light source, 3 color temperature tricolor variable light for CFL replacement. Customers often struggle with deciding what color temp lamp to purchase. What if you could easily change between 3000K-4000K-6500k with a simple switch? New technological advancements in LED have made this possible. Primarily, there are three types of color-changing seen in LED currently: White color tuning, Warm-dimming and full color tuning. Warm dimming and color preference LED technology were both based only on white color temperature. Non remoter to change light color temperature, One time switch on is cool white, 2 times swich on is warm white, 3 times switch on is nature white. 2) Dimension: The outside 60mm diameter, MOL 123mm. 3) Input Voltage: AC85-265V Wide voltage and constant current design, It can work on Mains voltage at AC110V, AC120V, AC220V, AC230V, AC240V, And all other mains voltage between AC85V and AC265V. 4) Luminous flux: 1200 LM.